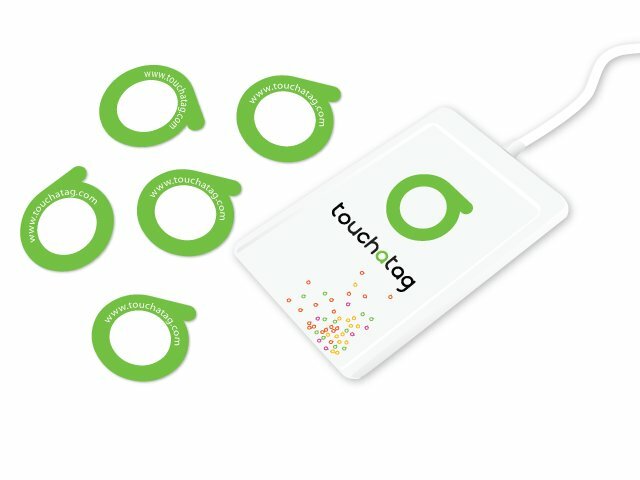 Touchatag is an RFID and QR system that uses a web-based client to interact with your PC. The starter package with a reader and ten tags costs $39.95 and tags cost $24.95 for a pack of 25. 500 tags cost $474.95 but what the heck do you need 500 for? 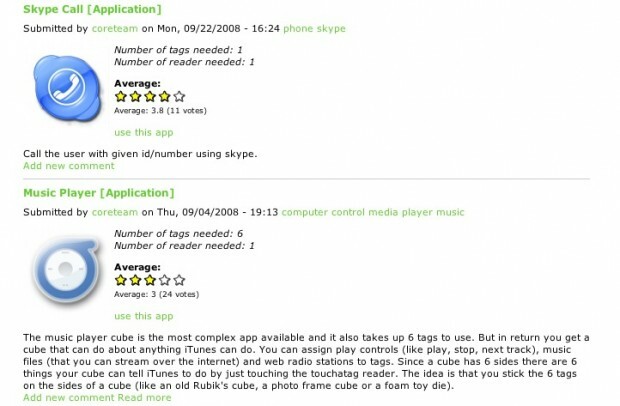 When you bring the tags close to the reader it senses their unique ID and then triggers an action. Actions include sending an email, making a Skype call or, in the case of this clever app, changing the song on your media player. You can also use a Nokia 6212 NFC phone, essentially a phone with near field transmission built-in as well as use QR codes on the iPhone or Blackberry.The QR system isn’t nearly as compelling as the RFID system, though, so it’s not worth much of a look. Obviously the coolest application is the RFID interaction. By simply waving a card or object in front of your PC you can shut everything down or trigger an action. Want to assign a houseplant to call your Mom? Use the Skype app. Want to open our bank’s website with a swipe of your hand? Easy peasy. I think the ultimate solution would be to set your co-worker’s computer to shut down whenever they brought coffee near the keyboard. I would consider this a toy right now, however. I’m not sure it’s robust enough to run, say, a health-club membership system or a security system for an office. However, if you want folks to swipe their RFID cards when they come into an office, for example, you could feasibly use this as a makeshift solution. I’ve created a few triggers and you could feasibly add this to a PC close to the front door and sense when junior has come back from his or her barbarian warfare practice. The possibilities, as they say, are limited by the time and effort you choose to put into this kit. RFID is spooky action at a distance. It’s great fun and with a little tinkering I’m sure you nerds could figure something out. Let me know if you have any special RFID solutions you’ve created.